Desired Skills: CA State Property and Casualty Insurance License, Strong sales skills, Ability to communicate professionally with clients and develop strong client relationships, Working knowledge of Microsoft products (Word, Excel, Outlook), familiarity with AMS360 a plus. We are an independent brokerage offering a competitive salary, excellent benefits and the opportunity to develop and grow while working in a fun, teamwork filled atmosphere. 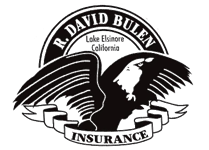 Bulen Insurance is a family owned business and has been operating since 1929. We believe relationships are the key to any successful organization. Bulen is not only a great place to work, it is a place that supports education, a place that puts family first, and a place where people can have fun. We offer a great range of health benefits and a 401k plan. We also offers a 7 hour workday, sick pay, vacation pay and approximately 11 paid holidays each year. We believe that you should enjoy coming to work every day and enjoy the people you work with. Working hard and having fun while we do it is our best accomplishment.